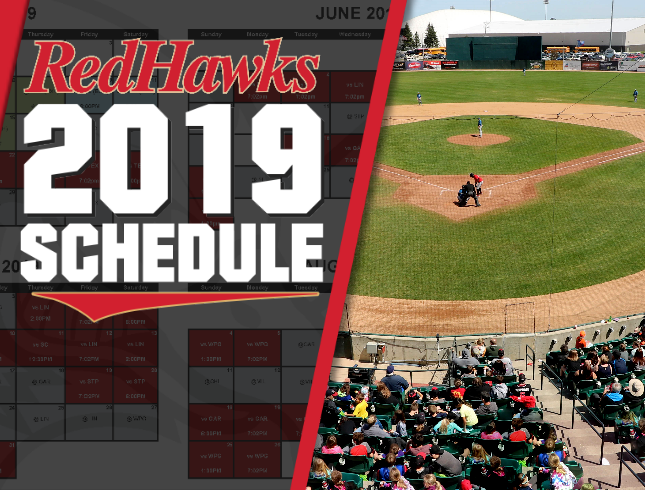 FARGO, ND — The Fargo-Moorhead RedHawks announce the release of the 2019 schedule for their ninth season in the American Association and their twenty-fourth season in franchise history. The RedHawks will begin the 2019 season on the road in Kansas City, against the T-Bones on Friday, May 17th and will face the expansion Milwaukee Milkmen in the 2019 home opener on Monday, May 20th at Newman Outdoor Field. The 2019 regular season schedule consists of 100 games, with fifty home games at Newman Outdoor Field and fifty games on the road. Highlights of the 2019 season includes seven firework shows (May 14, June 21, July 5, July 19, August 2, August 16 and August 31) and four business day games (May 23, June 20, July 11 and August 1) with the annual school day game scheduled for May 22nd at 11:00am. In addition, there will be three 2:00pm starts on Thursday, July 4th and Saturday July 13th versus Lincoln and Saturday, August 17th against Sioux Falls. You can view the entire printable schedule HERE. More details along with giveaways and promotions will be released at a future time.